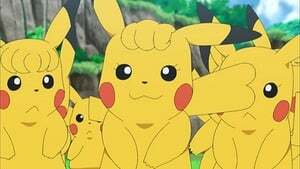 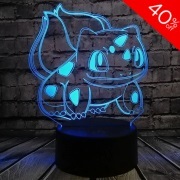 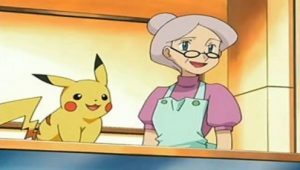 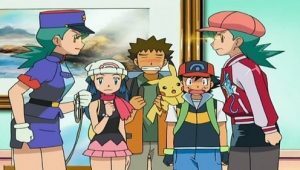 An old gate leads Ash and the gang to a Pokémon Center where all their dreams come true! 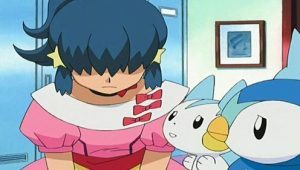 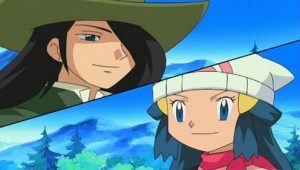 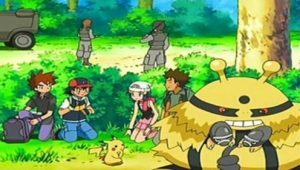 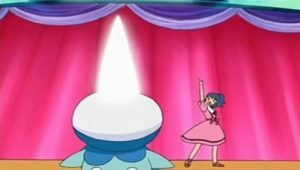 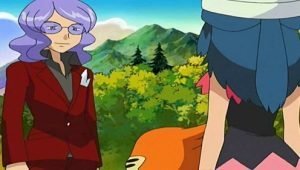 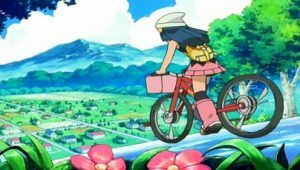 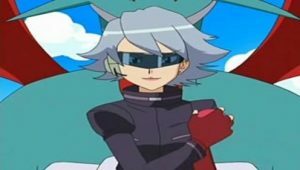 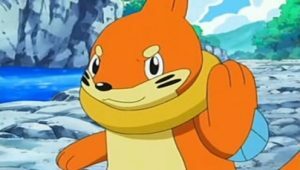 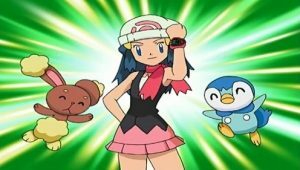 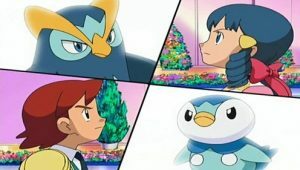 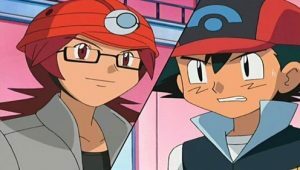 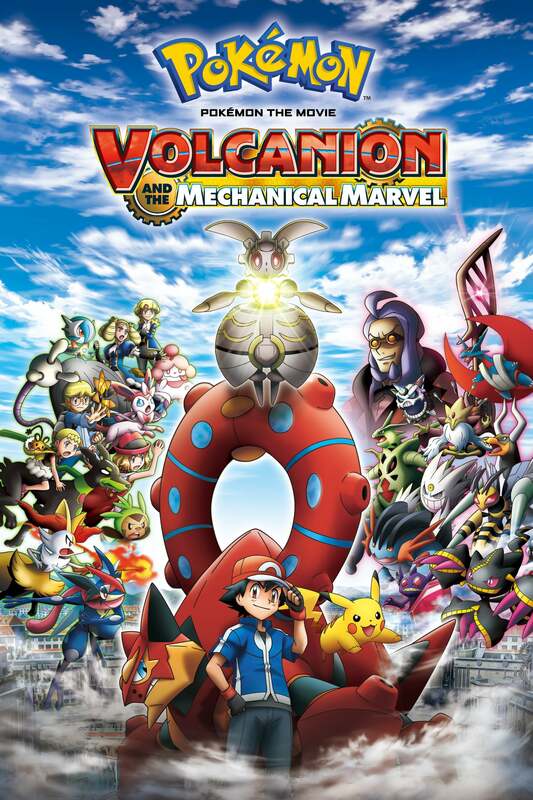 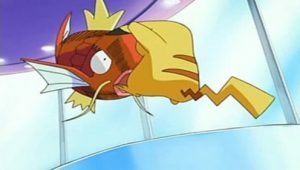 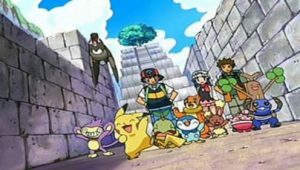 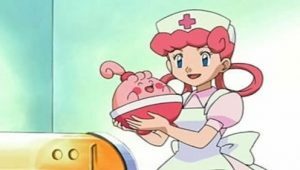 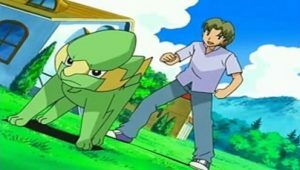 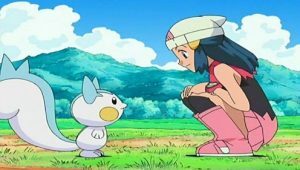 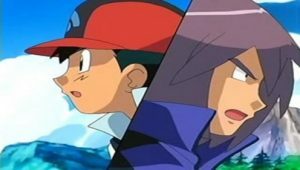 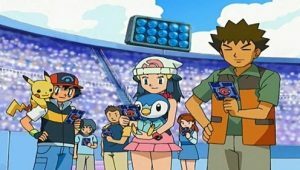 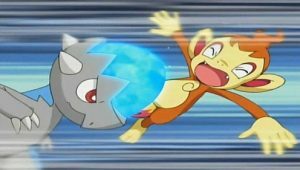 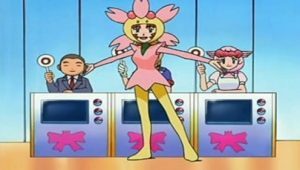 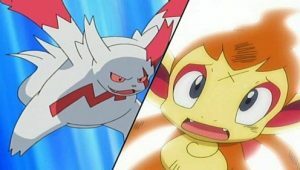 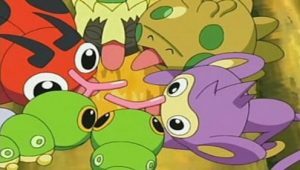 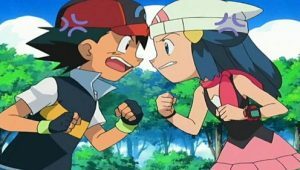 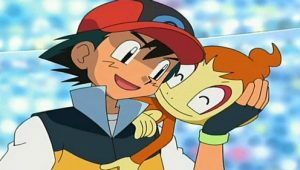 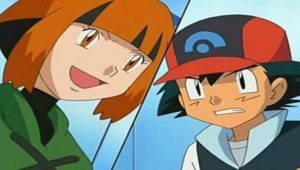 Brock is surrounded by adoring Nurse Joys and Officer Jennys, Ash is invited to a tournament of the world’s greatest Trainers, and Dawn is asked to compete in a Contest of the world’s best Coordinators! 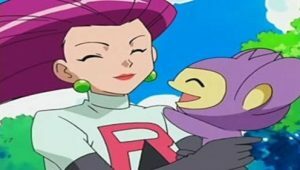 Even Team Rocket, lost outside in the fog, manages to find a free all-you-can-eat restaurant! 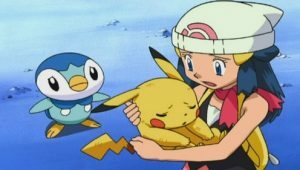 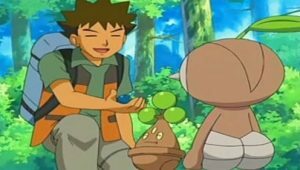 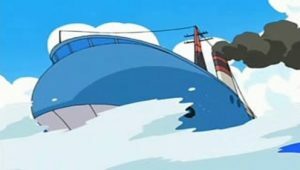 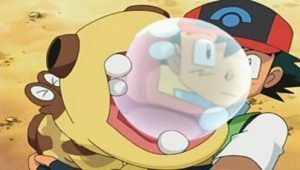 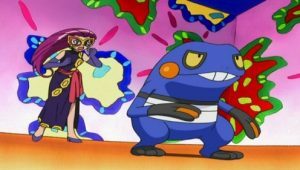 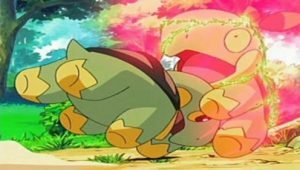 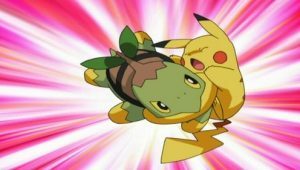 Everything’s perfect until Croagunk uses Poison Jab on Brock, and Brock wakes up to discover it was all a dream. It’s no ordinary dream, either: everyone was hypnotized by Mismagius and fell asleep in a field. 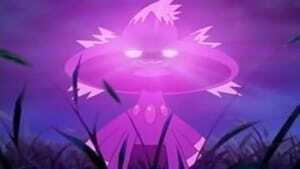 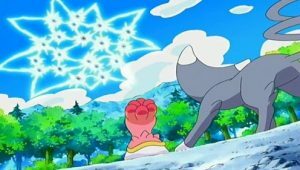 But before Brock can do anything, Mismagius appears and hypnotizes him once more. 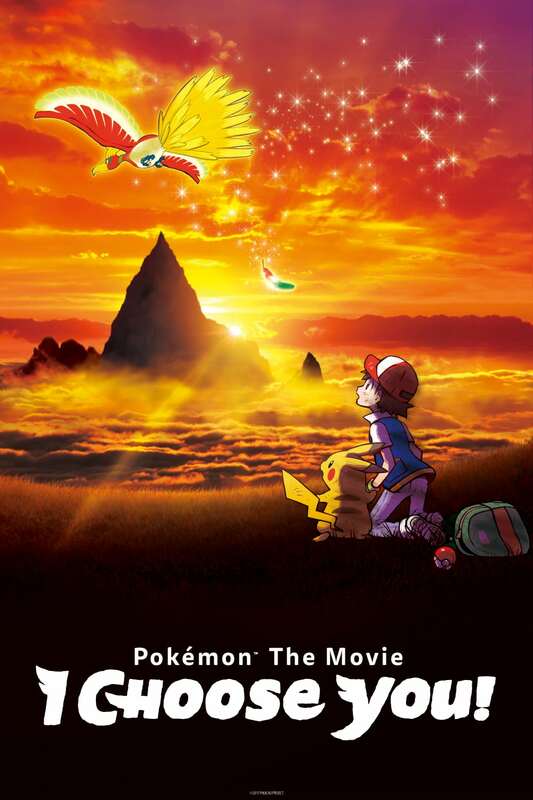 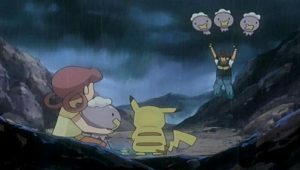 This time, he knows it’s an illusion and reveals the truth to Ash and Dawn. 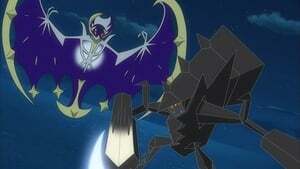 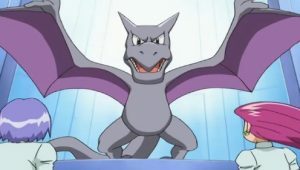 Then Mismagius appears and blocks their way with a phantom Rayquaza to prevent them from escaping the dream! 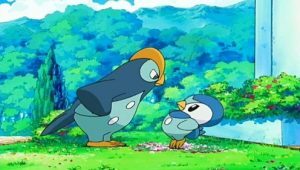 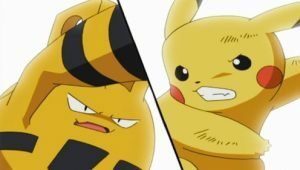 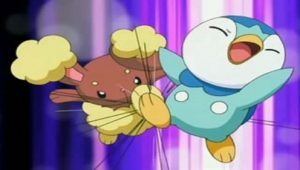 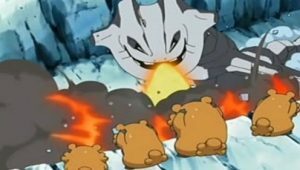 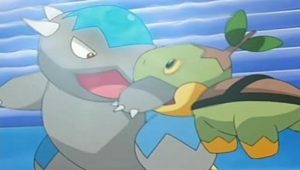 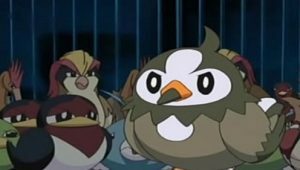 Piplup, Croagunk, and Pikachu attempt to battle the Rayquaza. 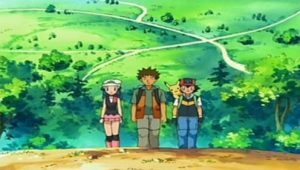 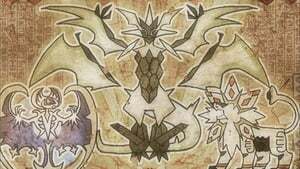 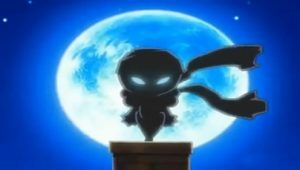 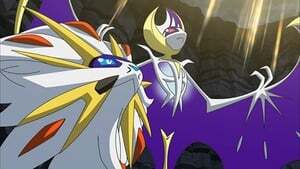 It’s tough at first, but even Pokémon dreams can come true in this world, so our heroes’ three Pokémon grow to giant size and defeat it. 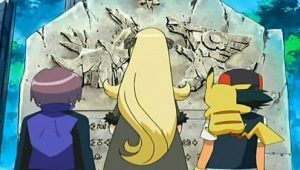 Ash and his friends explain to the puzzled Mismagius that they don’t want its illusions, however pleasant those illusions may be. 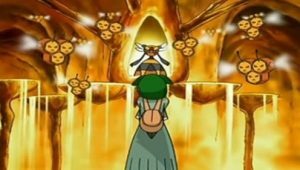 And once they pass through the old gate again, they’re able to wake up back in reality. 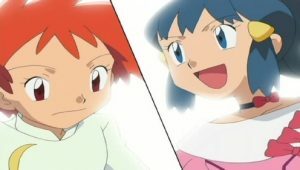 As for Team Rocket, still dreaming in the fields—well, they’ll be sure to wake up by the next episode!